TRI has extended its tried and proven system for collecting ambient air samples to screening for indoor air quality parameters. Originally developed for the United States Navy, TRI’s patented ambient air sampling system has been used in conjunction with its compressed breathing air testing program on a nationwide basis since 1975. Dubbed BASICKit (which stands for Building Air Screen for Indoor Contaminants Kit), the easy to operate air sampling system consists of a manually operated air exchange pump and a non-pressurized sample container which is filled with argon before shipment to the client. The client collects a sample by connecting the sample container to the fitting of the air exchange pump, and manually squeezing the bulb ten times. This action displaces the argon in the tube with the surrounding ambient air being sampled. It is almost as easy as counting from one to ten. 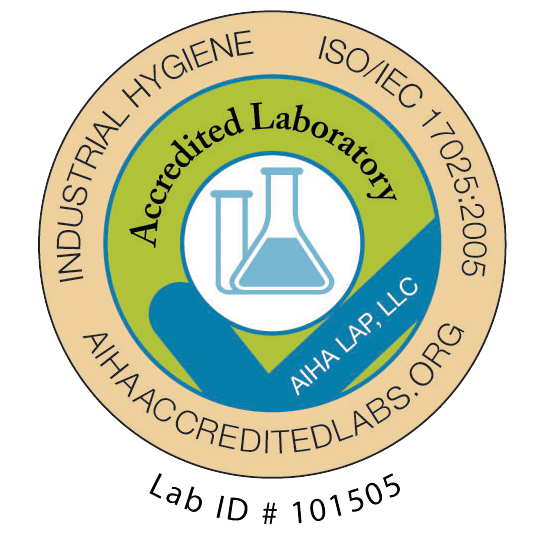 The sample container is then shipped back to TRI’s AIHA-LAP, LLC accredited laboratory for analysis, with results reported within 24 hours of receipt. The analytical report provides parts per million data for pollution indicators such as carbon dioxide, carbon monoxide, methane, and total volatile organic compounds (TVOCs), as well as percentage levels of oxygen and nitrogen. Results for these parameters can be very useful in determining whether or not an indoor air quality problem exists in an area. For example, high levels of carbon dioxide in an area might indicate the need to furnish more air flow and circulation into the area by adjusting HVAC balancing. High levels of TVOCs would indicate a need to conduct further investigation of the source of the pollution, followed by more specific testing to characterize and quantify the pollutant. Although developed as a screening tool for indoor air quality parameters, the method employed is a quantitative gas chromatography method utilizing both flame ionization and thermal conductivity detection. Insufficient sample collection is indicated by the presence of argon in the sample. More specific testing for TVOCs is usually done by collecting additional air samples on standard IH media, and analyzing by NIOSH or OSHA methods. TRI has full Gas Chromatography/Mass Spec capabilities which can also be used to detect and identify unknown contaminants in an air sample. The TRI system allows the user to collect a first response sample very quickly. In cases where the contamination source is transient, this may well be the only opportunity to ever collect a sample. The system is being used very successfully by indoor air quality consultants as well as building owner and tenants as a proactive management tool for monitoring the indoor environment. TRI’s BASICKit includes a manually operated exchange pump (ambient air sampler) and sample container(s), instructions and datasheets in a sturdy blow-molded kit with protective foam. For larger jobs, additional sample containers are available if needed and can be purchased on the Indoor Air Order Form. You return the samples to our lab for 24 hour analysis. TRI will then purge your sample containers with argon and return them for use with your next IAQ project. Online report accessis available and free of charge. Account access has been very well received by many of our clients as it allows them to access their latest reports 24 hours after samples are received and for reviewing reports from years past.